Cap, Garrison, Khaki, Aviation Cadet. By Peters Bros. Inc. Size 71/8. 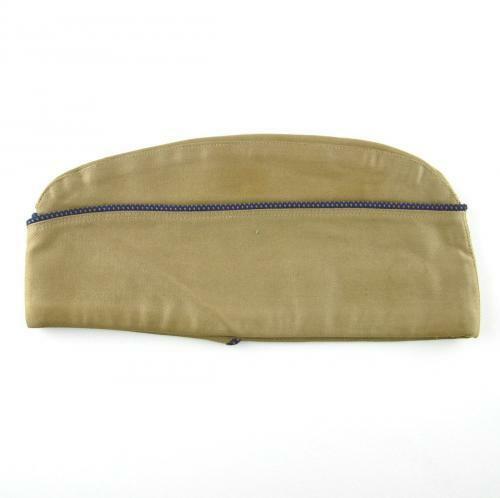 Light tan/khaki cotton sidecap with blue/gold piping. Unlined. Labelled. No insignia. Excellent condition. Stock code U21383.